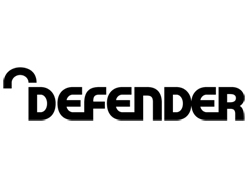 The perfect solution to keeping your possessions safe. 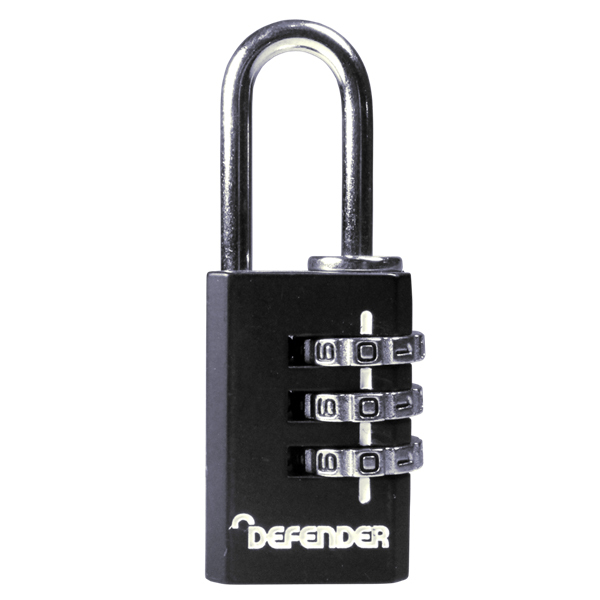 The Defender Diecast Combination Padlock, a medium security, aluminium padlock, is suitable for a wide range of applications such as travel, cupboards and lockers. 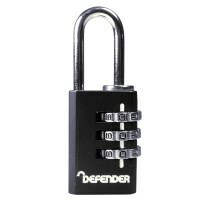 It features a re-settable combination, is available in a variety of sizes and comes with a two year guarantee. 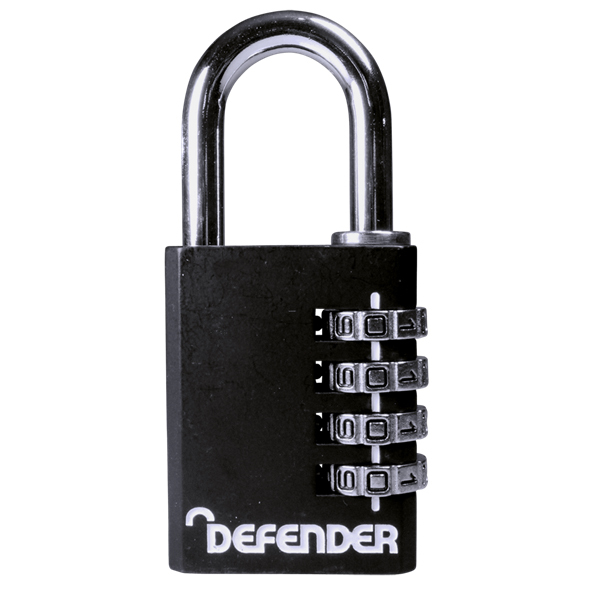 These combination padlocks feature three dials on the 20mm and 30mm sizes and 4 dials on the larger 40mm padlocks. 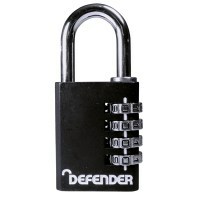 The padlocks are opened by entering the correct code into the dials.